It should not be difficult to love Amazon. To consumers, it offers choice and convenience. Countless Internet ventures have relied on its cheap, flexible cloud computing services to start and scale up. Amazon makes titans such as Walmart work hard for their revenue, offers a shopping search engine that is Google's only serious rival, raises the bar for television networks and sells tablet computers at a price that make Apple loyalists stop and think. Amazon is also giving the United States economy what it needs. Economists German Gutierrez and Thomas Philippon have argued that corporate America is under-investing. One reason is that companies are impatiently funnelling cash to investors and executives rather than taking a long-term view. If that is a worrisome state of affairs - and it should be - then Amazon is the shining counterexample. The online retailer's strategy is driven not by short-term profit but by investment, innovation and growth. If only there were a few more companies like Amazon, capitalism would be in a happier spot. But there's the rub: There aren't more companies like it. It is unique, and an increasingly terrifying force in online commerce. Should regulators act? If so, how? It is worth first disposing of a bad argument - that Amazon must be challenged because it makes life miserable for its competitors, some of which are plucky mom-and-pop operations. However emotionally appealing this might seem, it should not be the business of regulators to prop up such businesses. Regulators have a tendency to slip into the role of protecting incumbents with surprising ease. Economist Marc Levinson's history of container shipping, The Box, describes Mr Malcom McLean - the entrepreneur behind containerisation - as a risk-taking visionary reminiscent of Amazon founder Jeff Bezos. When Mr McLean tried to expand his operations, one of his largest obstacles was the Interstate Commerce Commission (ICC) in the US, which regulated US railways from 1887 and interstate trucking from 1935. The antitrust authorities face a difficult balancing act. Regulate Amazon and you may snuff out the innovation that we all say we want more of. Punish it for success and you send a strange message to entrepreneurs and investors. Ignore it and you risk leaving vital services in the hands of an invincible monopolist. The ICC, writes Mr Levinson, had to approve each new route, every new commodity and any new price schedule. When Mr McLean wanted to start a trucking route at a low price, he had to hire lawyers and argue his case at the ICC, while his competitors protested bitterly - "unfair and destructive", said the railways. He did not always get his way. The antitrust authorities should not be in the business of making life easy for incumbents. What, then, should they do? One is to focus on consumers' interest in quality, variety and price. This has been the standard approach in US antitrust policy for several decades. 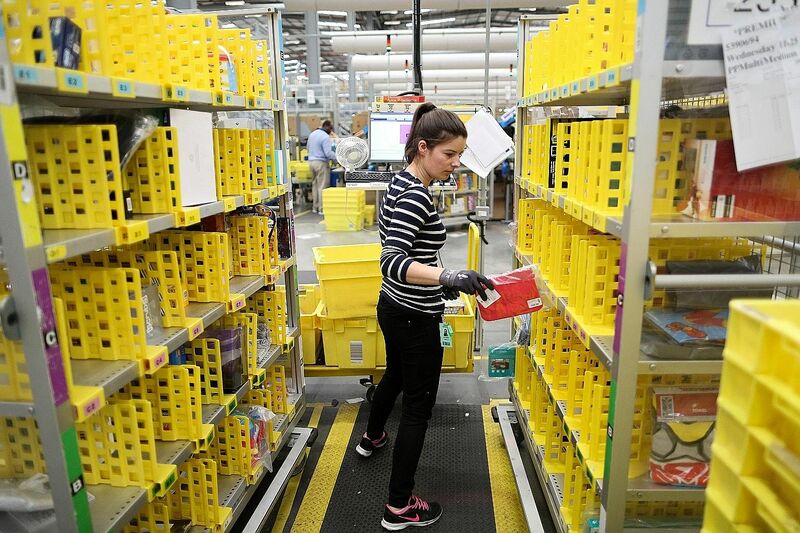 Since Amazon makes slim profits and charges low prices, it raises few antitrust questions. The alternative view - which harks back to an earlier era of antitrust during which Standard Oil and later AT&T were broken up - argues that competition is inherently good even if it is hard to quantify a benefit to consumers and that society should be wary of large or dominant companies even if their behaviour seems benign. The collapse of companies ranging from Lehman Brothers to construction services business Carillion reminds us that size can be a problem when a company is weak as well as when it is strong. The narrowing in antitrust thinking is described by Ms Lina Khan in a much-read article, Amazon's Antitrust Paradox. Ms Khan berates modern antitrust thinking for its "hostility to false positives", arguing that it has become incapable of saying anything insightful about modern tech companies. Unlike Ms Khan, I share modern antitrust's hostility to false positives; there is a real cost to cumbersome and unnecessary meddling in a dynamic and rapidly evolving marketplace. US President Donald Trump's history of publicly attacking Mr Bezos is worth pondering too: Do we really want the US government to have more discretion as to who is targeted, and why? We should not wish to return to a world in which a plucky new competitor must beg regulators - over the objections of incumbents - for permission to cut prices. We should be grateful that Mr Bezos did not face in the 1990s the regulatory obstacles that Mr McLean dodged in the 1950s. Yet for all this, I am deeply uneasy about Amazon's apparently unassailable position in online retail. Yes, customers are being well served at the moment. Yet the company has acquired formidable entrenched advantages, from the information about customers and the suppliers who sell through it, to the bargaining power it has over delivery companies, to the vast network of warehouses. Those advantages were earned, but they can also be abused. There are no easy options, but it is time to look for a way to split Amazon into two independent companies, each with the strength to grow and invest. If Amazon is such a wonderful company, wouldn't two Amazons be even better?